Bath Preservation Trust is a registered charity and you can support our charitable aims through Gift Aid. Under the Gift Aid scheme, instead of paying an admission charge, you can now donate the same amount. When you donate, you will be asked to confirm whether or not you are a UK taxpayer. Tax can only be reclaimed on donations made by individuals who pay UK income or capital gains tax at least equal to the amount reclaimed on their donations in the current tax year. We can then recover tax on your donation. To us, that’s worth an extra 25p for every £1 you give. All you need to do is complete a simple declaration when you arrive. To help in this way you must be a UK taxpayer. Your details will remain confidential. This support will help preserve No.1 for future generations. No. 1 Royal Crescent allows visitors to look beyond the Royal Crescent’s world famous Palladian facade and see what life was like for the wealthy and their servants in 18th century Bath. It has recently benefited from a major renovation through The Whole Story project but we still need your help. There is so much to explore at this multi award winning museum and many of our visitors love what they have seen and learnt and have generously donated to the continued development of the museum. As well as running No. 1 Royal Crescent and three other museums whose collections help explain why the Georgian era is such a key period in the city’s history, we also run a highly successful education programme, which recently earned a prestigious Sandford Award, and undertake vital campaigning work to protect the status of the World Heritage city. And we do all of this with no assistance from public funding which is why ongoing financial support is essential. Your donation is therefore vital to help us with our work. However you choose to support us, please remember to Gift Aid it. Pledging Gift Aid will cost you nothing and it allows Bath Preservation Trust to reclaim tax at the current basic rate. Gifts in wills, or as a memorial, are also very important and have made a substantial difference to Bath Preservation Trust. If you would like to know more, please click here or contact our office for a confidential discussion. We greatly appreciate all the donations we receive. They make an immediate difference to our work, and we’re very grateful to our many supporters who have helped us over the past 80 years. 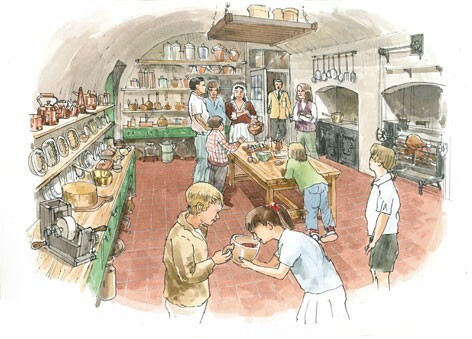 Know you are playing a vital role in helping to preserve Bath’s heritage. Put your views to the Trust at the Annual General Meeting. Seek advice from the Trust’s various committees on points of policy or historic and architectural detail. Take part in a series of Trust walks, talks and tours. Meet fellow members with similar interests. Visit all Trust museums free of charge throughout the season. Receive the Trust’s annual publications and other communications. Have you considered making a legacy to Bath Preservation Trust in your Will? When Bernard Cayzer left No.1 Royal Crescent to the Trust, he gave us a marvellous asset which allowed us to develop a renowned museum. But he also gave us financial independence. Legacy gifts to the Trust do not need to be as magnificent as No.1 to continue this valuable role. The Trust will be very grateful for any contribution that you are able to make through a legacy. Bath’s ‘World Heritage’ status means that our campaigning work continues to be an essential part of Bath’s development, and our education and interpretation work ensures that the widest possible audience understands our purpose ‘to encourage and support the conservation, evolution and enhancement of Bath and its environs within a framework appropriate both to its historic setting and its sustainable future, and to provide educational resources that focus on the architectural and historic importance of the city’. The Trust’s influence and independent voice is needed as much in the C21st as it was in the C20th. But our ability to fulfil this role is directly in proportion to our resources. Together with the support of our members, we need to add to this resource to continue to act for the benefit of the people of Bath. If your estate is liable to Inheritance Tax, you could reduce the amount due by choosing to give the money to charity. If you leave a gift to a charity in your will, its value will not be included when valuing your estate (your money, possessions and property) for Inheritance Tax purposes. Gifts make to a charity in the seven years before your death are exempt from Inheritance Tax. If after reading this you decide to leave a legacy to us in your Will, please contact Caroline Kay, in confidence, on 01225 338727 or in writing at the Trust offices at No.1 Royal Crescent, Bath, BA1 2LR. Volunteering Open Day on Monday 28 January 10am – 1pm – for all BPT museums and roles. Pop in to find out more! Do you have some spare time? Do you have an interest in the 18th Century? We have an exciting variety of volunteering opportunities available at No. 1 and are always keen to welcome new volunteers to our friendly team. Museum or Heritage Studies students are also invited to apply for work experience. Our guides are positioned in each room of the Georgian town house to greet and engage visitors about the fascinating rooms and their contents. Room Guiding can be flexible, we have weekly spots available now (particularly at the weekends). No previous experience is necessary as full training will be given but a general interest in history along with an enthusiasm for interacting with members of the public are required for the role. Our volunteers are vital to the enjoyment of the visitors as well as the success of the museum. To say thank you we provide an annual trip, Christmas lunch, lecture series, regular coffee mornings and pay travel expenses for our guides. If you are interested in becoming part of our guiding team please contact the Museum Manager, on no1 royalcrescent@bptrust.org.uk or 01225 428126. To apply for the role, please fill in the application form and email it to the address above. Our shop volunteers welcome and assist visitors in our Museum shop, process payments and sell admission tickets. No previous retail experience is necessary as full training will be given but a friendly and engaging manner in dealing with visitors is encouraged. 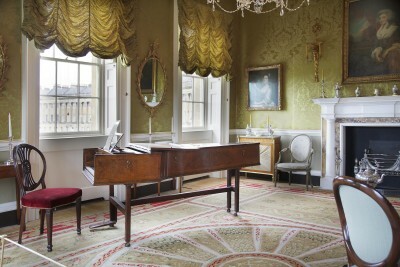 We are looking for volunteer harpsichord players to play the harpsichord in the Withdrawing Room of No.1 Royal Crescent on an occasional basis. We do not have any vacancies at present. Although not paid roles, we are always keen to expand our happy group of volunteers – at all four of our museums – and would welcome any enquiry you might have. Volunteering options include regular shifts as museum guides, ad hoc hours, project or event-based opportunities, educational support, and assistance to marketing and public relations. 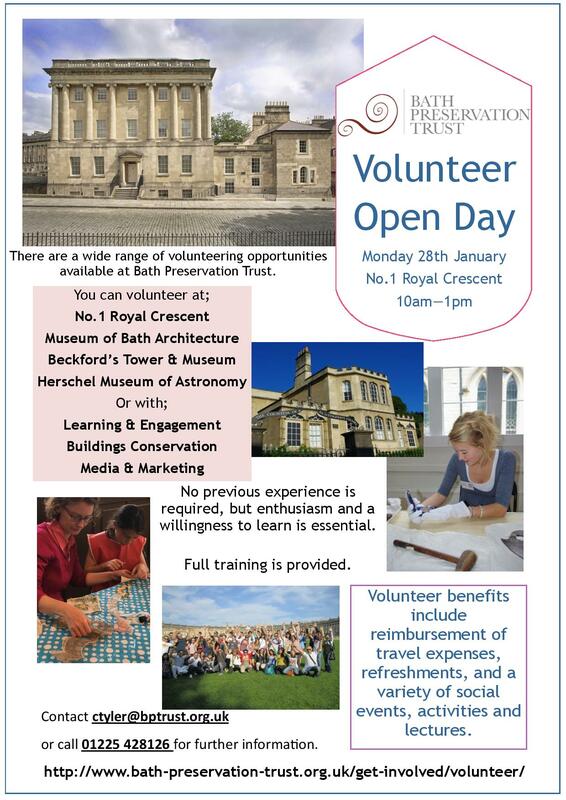 Please call 01225 428126 or email no1royalcrescent@bptrust.org.uk.